As part of the Commonwealth Scholarship and Fellowship Plan (CSFP) programme, New Zealand offers the New Zealand Commonwealth Scholarships for postgraduate study (Masters and PhD) in New Zealand universities to candidates from developing Commonwealth countries on a contestable basis. The purpose of the scholarships is set out in the Commonwealth Scholarship and Fellowship Plan, with the following key principles to: 1). promote mutual cooperation and share educational experience among all Commonwealth countries, 2). be available across the Commonwealth, and 3). recognise and promote the highest level of intellectual achievement. The CSFP, established since 1959, is an international programme under which member governments offer scholarships and fellowships to citizens of other Commonwealth countries. 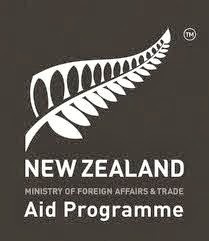 The New Zealand Commonwealth Scholarships are highly competitive and for top level graduates. Preference will be given to candidates who apply to study in academic disciplines relating to priority sectors. Commonwealth Scholarships scholars study at one of New Zealand's 10 universities or institutes of technology, at a Pacific university, at an English language training provider in South East Asia, or through a training programme in New Zealand. It's important to find a tertiary institution that will meet your personal as well as academic needs. Each institution specialises in different subjects. For complete details, see where you can study. Scholarships are offered for subjects in priority sectors that are relevant to the development needs of your country. This is so you can contribute to making a real and positive difference to your country when you return home at the end of your scholarship. The priority sectors are also where New Zealand has expertise. For complete details, see what you can study. If you would like to apply for a New Zealand Commonwealth Scholarship please note the following: You may only apply using the New Zealand Commonwealth Scholarship Application form as a hard copy. Please note that applicants are unable to apply online. You must submit your application to your local Nominating Agency. The following steps can only be completed once the online application portal opens on 1 February 2018. Check that you meet all eligibility criteria. If you want to pursue a PhD or a Masters by Thesis you should also start contacting and securing a potential supervisor for your PhD. You will need to have a Letter of Support from a supervisor should you go on to be shortlisted. Download and print the 2017 Application Form (Application Form for 2018 selection will be available to download here when applications open on 1 February 2018.). Additional copies may also be available at your local nominating agency (address found on the Application Form) or at selected New Zealand High Commissions. Complete all sections of the application form, and make sure you have attached the additional documents required. Deliver to your country's nominating agency by the deadline below. The nominating agency will review all applications received and select the two candidates that best meet the eligibility conditions, preference factors and priority sectors for their country. Note: any applications received directly from applicants will not be considered. It is important to read the Paper Application Guidance page and visit the official website (link to it is below) for complete information on this scholarship and applying to it. The Commonwealth Scholarship and Fellowship Plan (CSFP) was established at the first Commonwealth education conference in 1959 and is reviewed by education ministers at their triennial meetings – the only scholarship scheme in the world to receive such high-level recognition. Each Commonwealth government has designated a national agency for the operation of Commonwealth Scholarships. The New Zealand Commonwealth Scholarships is funded by the New Zealand Aid Programme and managed by the Ministry of Foreign Affairs and Trade (MFAT). The selection process in New Zealand is managed by Universities New Zealand. For the case of Uganda who nominates candidates because some of Ugandan issue are done on 'whose son' bases. I am worried I may miss because of nominees.